WaterTech offers a large variety of designer combination bathtubs in beautiful shapes and sizes to compliment your bathroom. 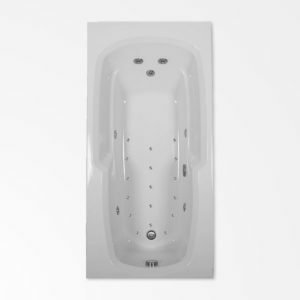 Each bath’s extra deep bathing area provides maximum water depth, optional extra jets can be configured to create a luxury whirlpool bathing experience. Maximize every inch of your bathtub space with the C6032 Ultra combination tub. 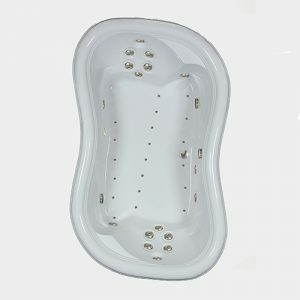 Designed with a narrow top deck and curved footwells, this tub uses every inch to its full advantage. Eight spa-grade jets provide you with a full body massage—two recessed jets focus on your back, four on your legs, and two on your feet. A pulsating jet comes free with the tub and can be changed out in seconds. 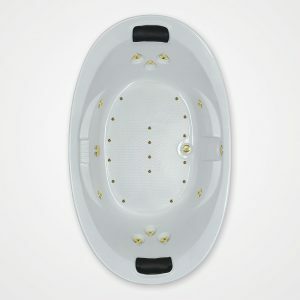 Eighteen spa-grade air injectors provide you with a full body massage and are strategically placed in the tub floor. The C6032 Ultra is the perfect size and shape to fit into a bathroom alcove with an overhead shower. Lucite acrylic makes the tub easy to clean and maintain. A galvanized steel-reinforced floor means the tub floor won’t warp or sink. Rigid PVC pipe is hand-formed so all the water drains from the lines, meaning clean and hygienic water every time you bathe. An automatic drying cycle kicks on 20 minutes after the blower is turned off to dry the lines and air injectors, so no water enters the lines. Squeeze out the potential of your bathing space by incorporating the C6032 Ultra combination tub into your bathroom design. Note: Prices do not include freight. Please call for pricing. 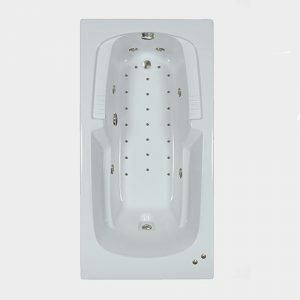 This air bathtub has 27 air injectors to provide you with the ultimate spa bath. It’s slightly wider than most standard tubs, and the extra width is used to provide a top deck that will accommodate all your bathing accessories, like shampoo, conditioner, and body wash. Because of its rectangular shape, it’s ideal for a bathroom alcove with an overhead shower. Built-in armrests allow you to relax in comfort as you recline against the sloped back with three recessed air injectors to massage your back. 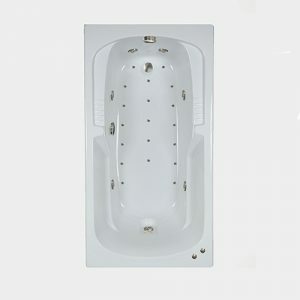 Twenty-four more air injectors installed in the tub floor infuse the water This jetted combination tub has nine jets and 19 air injectors to provide you with the ultimate spa bath. It’s slightly wider than most standard tubs, and the extra width is used to provide a top deck that will accommodate all your bathing accessories, like shampoo, conditioner, and body wash. Because of its rectangular shape, it’s ideal for a bathroom alcove with an overhead shower. Built-in armrests allow you to relax in comfort as you recline against the sloped back with three recessed jets to massage your back. Four jets, two on each side, massage your hips and legs, and two jets reach your feet. Air injectors in the tub floor add tiny, heated massaging bubbles to the mix for the perfect blend of soft and deep tissue massage. This tub is built to last—it’s made from genuine scratch-resistant Lucite acrylic; it has a steel-reinforced tub floor and motor mount. Rigid hand-formed PVC pipe ensures 100% water drainage, so your lines stay clean. 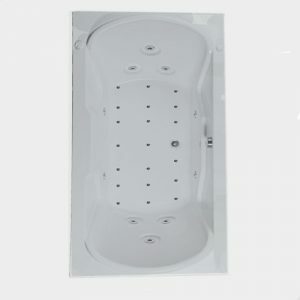 We’ve built a tub that will tuck nicely into your bathroom and provide you with the luxury bathing experience you crave. Note: Prices do not include freight. Please call for pricing. 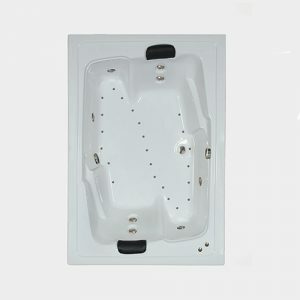 A popular jacuzzi style one person airbath/whirlpool combination. 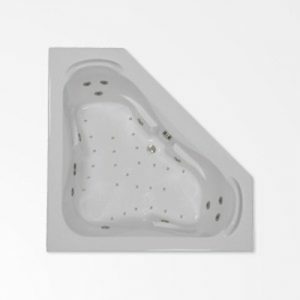 Other available 60”x42” airbath/whirlpool models that Watertech manufactures have different features, water depths and shapes. They are the C6042 Elite, the C6042EOW (oval shaped) and the C6042SW. All C6042 models, except the C6042EOW, are rectangular in shape and can easily have a shower incorporated into the design. The C6042GW has two clear acrylic grab rails 1” in diameter and 9” in length, perfect for individuals that require some assistance getting in and out of the bathtub. Note: Prices do not include freight. Please call for pricing. 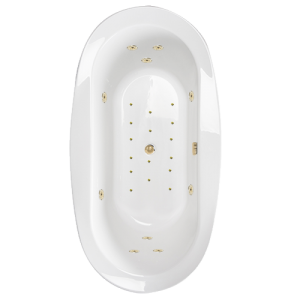 Relax in the lap of luxury in the C6042 SW combination tub. 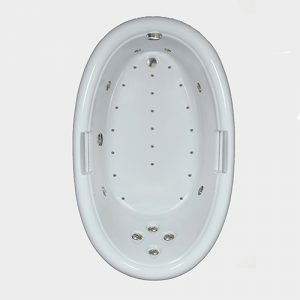 An oval tub well cradles you in style as two sculpted armrests and a built-in seat ensure the highest level of comfort. Nine jets massage muscular tension out of your body; three are recessed in the seat specifically for your back. Fourteen air injectors suffuse the water with massaging bubbles to gently ease stress and tension. The oval bathing well sits in a rectangular deck, giving you plenty of room for custom fixtures and faucets and allowing the C6042 SW to be used with an overhead shower. 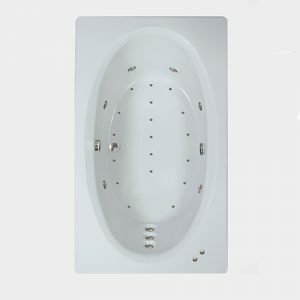 The tub is made of authentic Lucite acrylic, the best in the industry. It has a beautiful high gloss, scratch-resistant finish that is easy to care for. Our tubs are supported by a galvanized steel floor—not wood or plastic—so you can be sure that your tub won’t sag, sink, or buckle. Rigid PVC pipe is hand-formed by our technicians to drain every bit of water out of the lines, so your water stays clean and pure for every bath. 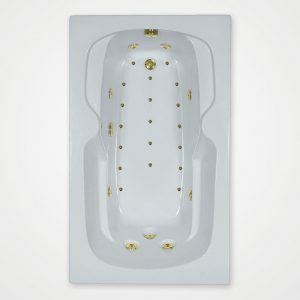 This tub offers beauty, comfort, luxury, and quality. All backed by a lifetime guarantee. What more could you ask for in a bathtub? 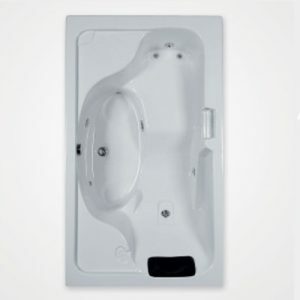 A great two person bathtub delivering a combination of both an air bath and a whirlpool bath. By adding 1” to the width of a standard 42” wide bathtub, we have created a spacious two person tub that doesn’t require excessive width in the bathroom. 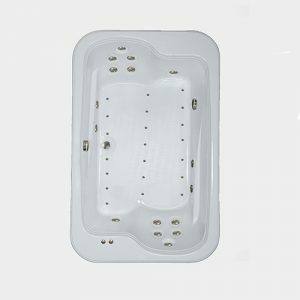 A narrow top deck, approximately 2” wide, allows the internal bathing to be enlarged significantly. Bathers sit facing each other and the tubs side drain insures that neither bather will be sitting on the drain. Each bather is provided three back jets and a foot jet. Note: Prices do not include freight. Please call for pricing. A classic design that allows two bathers to sit side by side. 10 water jets provide a high pressure water massage of the back and body. Sculptured arm rests are designed into the tub for a comfortable place to put your arms while enjoying a relaxing full body massage. The C6048 is rectangular in shape making it easy to add a shower, if so desired. Air jets (injectors) placed in the floor provide a soft tissue, non-aggressive massage of the hips, legs, knees, and feet. Note: Prices do not include freight. Please call for pricing. A two person corner acrylic whirlpool/airbath combination. This combination bath has spacious interior bathing so the bathers can side by side or face to face. 8 water jets provide a high pressure massage and air jets (air injectors) in the floor provide a soothing air massage. 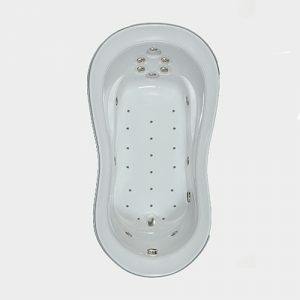 A convenient corner seat gives the bather a space to sit and let jets and injectors massage the feet, legs, ankles etc. Watertech has two other corner models available with different dimensions: the C6262 and the C6464. Note: Prices do not include freight. Please call for pricing. 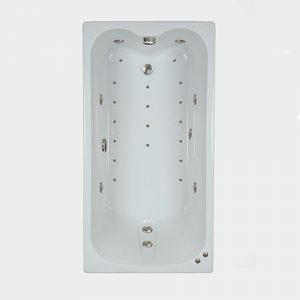 Elegant two person combination whirlpool bath and air bath. This bath has three distinct sitting areas and each sitting area has a raised headrest. The flowing curves of this spacious design will enhance any bathroom. 2 – 2HP pumps power the water jets and provide a deep tissue massage. The 1HP heated air blower, with variable speed control, powers the air massage system. We have two other corner whirlpool/air combinations available, the C6060 and the C6464 Elite. Note: Prices do not include freight. Please call for pricing. Need a little more leg room than the average 60 inch bathtub provides? This 66 inch tub has it! Why not take advantage of every inch of space you’ve got? 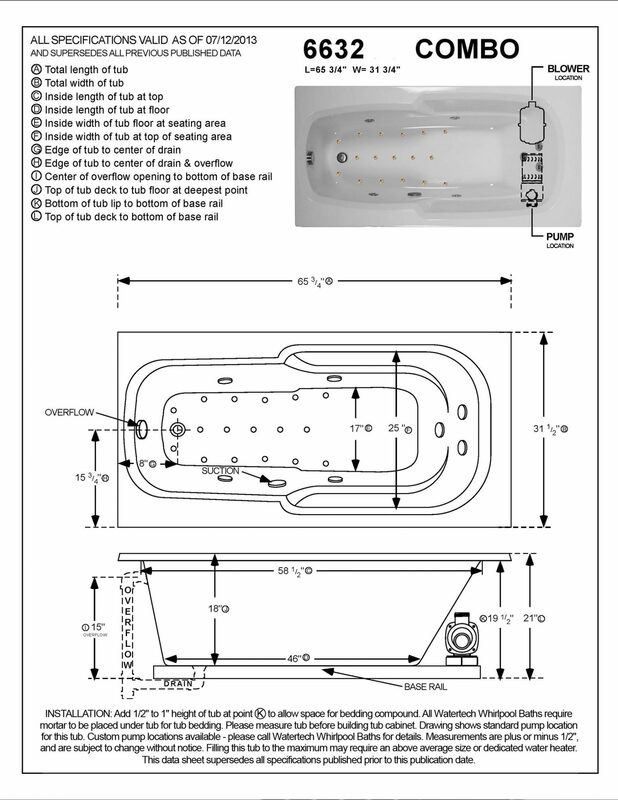 The whirlpool bath 66x32 EL whirlpool bath was designed to allow maximum use of an in-between space. If you have an alcove or island space larger than 60 inches but not quite long enough for a 72 inch tub, this tub might be exactly what you need. For taller bathers or when stretching out for a relaxing whirlpool at the end of a hard day. 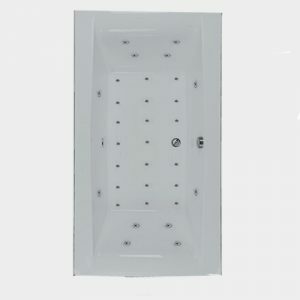 At 32 inches of width, this tub is perfect for remodelers looking to replace an older model tub but where an additional six inches of length is possible. Compared to bathing in an old 60 inch tub the 66x32 EL tub will make you feel like a King. Plenty of water depth and built in arm rests provide superior comfort and bathing security while the smooth top deck ensures ease of cleaning. Not every bathroom has space for a 72 inch whirlpool tub so maximizing use of available space is critically important in tight quarters. Don’t settle for a 60 inch whirlpool when you can squeeze in a 66 inch long one. It’s not too big, not too small. The 66x32 EL is just right. 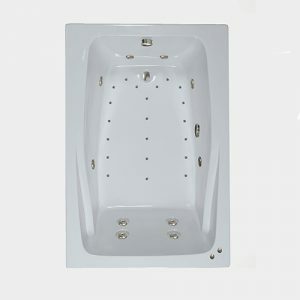 This tub is perfect for overhead shower alcove installation or it can be dropped into an island cabinet of tile or wood. With seven jets and a standard two horsepower pump this tub delivers big tub performance in limited space. Why not take advantage of every inch of space your new bathroom has? The whirlpool bath 66x42 is the big brother of our model 66x32 EL but with an additional 10 inches of width, making it far more accommodating. For one person bathing our 66 inch whirlpool provides luxury bathing at its best because at 42 inches wide it’s far wider than a standard bathtub. 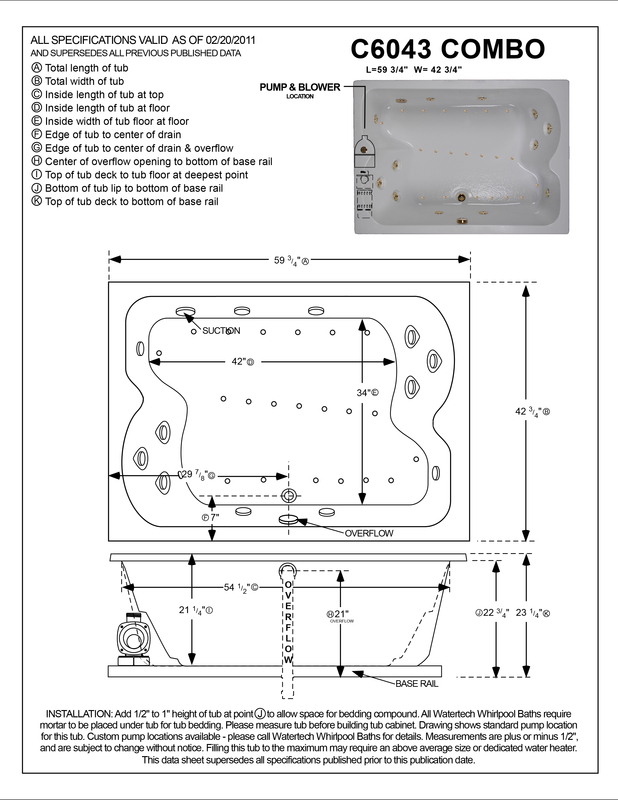 While not many other manufacturers offer 66 inch tubs because they’re a specialty size and therefore not generally a big seller, Watertech knows how important it is to take advantage of every available inch of space in your bath. That’s why we offer so many different sized whirlpools. If you have the room for a 66 inch whirlpool, but not a 72 inch tub you would be well advised to purchase the model 66x42 tub. With molded in arm rests and five jets the model 66x42 delivers plenty of comfort. Its simple straightforward design and clean lines are at home in any setting and because it’s ten inches wider than our other 66 inch tub. 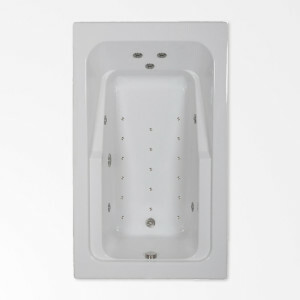 When deciding which whirlpool tub to buy you need to consider what each tub offers. Try not to be penny wise and pound foolish. Don’t settle for a 60 inch tub if you have room for a 66 inch tub. You’ll be glad you did! 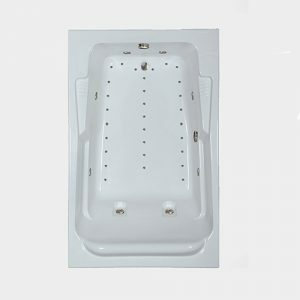 This one person combination bath has arm rests and an area molded in the top deck for soap, conditioner, etc. 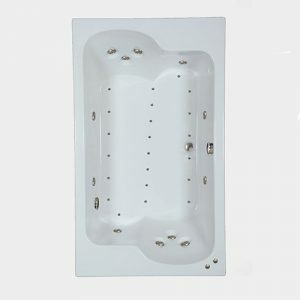 This jacuzzi style bath has water jets in the wall of the tub and air jets in the floor. Two entirely different massage experiences for a total body massage. This tubs rectangular shape also allows a shower to be incorporated into the design. Other models available in 7236 dimensions are the oval shaped combo 7236EOW and the rectangular shaped C7236 Elite with our exclusive top overflow. Note: Prices do not include freight. Please call for pricing. This traditional combination whirlpool/air bath fits most homes. The tubs rectangular shape allows it to be incorporated into a shower design. 9 water jets provide an aggressive hydrotherapy body massage with three stacked water jets to massage the back and spine. 18 air jets located in the floor provide a non-aggressive air massage. Note: Prices do not include freight. Please call for pricing. 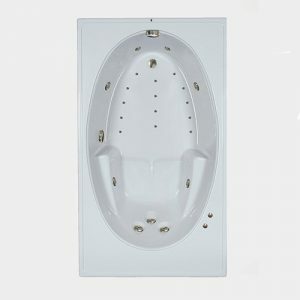 The beautifully designed C7243 two person tub has fully adjustable jets for a total body massage with 3 back jets and two jets for your feet. This tub also comes with FREE! Pulsating Jet - Interchangeable with any jet neck, back, foot, etc. ($55.00 Value) Note: Prices do not include freight. Please call for pricing. Two – 2HPP pumps power the water jets and 1HP Heated variable speed air blower power the air injectors (jets). 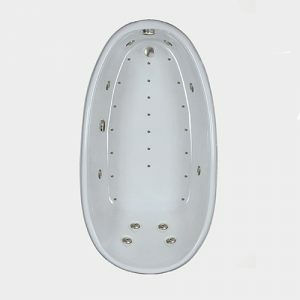 The C7245 combination bathtub is one of our most popular two person acrylic jacuzzi style tubs. Bathers sit facing each other with ample leg room. 5 water jets massage each bathers back, 6 water jets provide a high pressure massage of the feet legs and body. 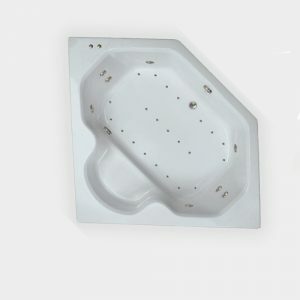 On combination baths all the water jets are fully directional and the jet’s scalloped face can be rotated allowing the bather to increase or decrease the water flow and pressure from each jet. Note: Prices do not include freight. Please call for pricing. Two bathers sit side-by-side with two recessed back jets. Curved lumbar support, sculptured arm rests, soap dishes and full width acrylic headrest are beautifully designed into this bath. Note: Prices do not include freight. Please call for pricing. Our Largest Corner Tub! Our largest whirlpool/air bath combination is truly spectacular! At 72 inches by 72 inches along the wall sides this tub is expansive! 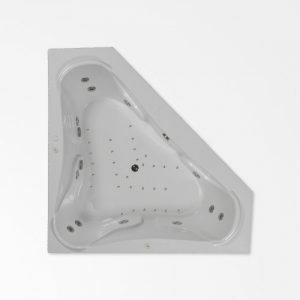 With a seat in each of the three corners, bathers can relax in several positions with plenty of room to stretch out and enjoy hot water therapy together. It’s like having a small spa in your bathroom! Two person tub with integral soft pillows. Flowing curves and arm rests come together to form a beautiful shape. 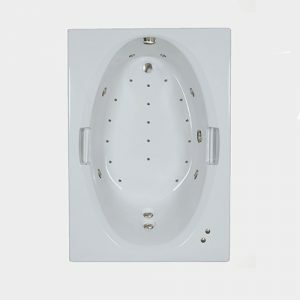 The C7344 Combination Bathtub provides the benefits of a soft tissue massage from the air injectors located in the floor of the bathtub and high pressure joint and deep massage from the water jets located in the walls of the bathtub. The air and water massage systems can be operated simultaneously or independent of each other. Note: Prices do not include freight. Please call for pricing. A beautiful hour glass shape with inward sloping deck area. 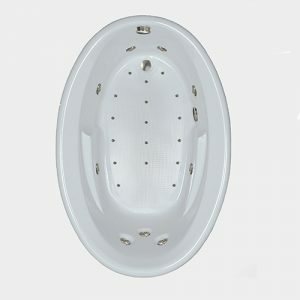 A luxurious one person jacuzzi style bathtub where 6 water jets provide a high pressure massage to the back and neck. The lowest back jet is ideal for those wanting a lower lumbar massage. Additional water jets massage the body, legs and feet. Two arm rests allow the bather to stretch out comfortably, relax and enjoy a tension relieving hot water massage. Note: Prices do not include freight. Please call for pricing. 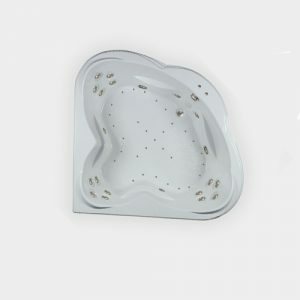 A beautifully detailed curved top deck makes this bathtub a center piece for any bathroom. This is a two person bath with an extra deep bathing area and the seating areas provide face to face alignment. 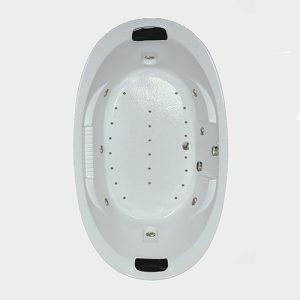 6 multi-directional water jets massage each bather’s back and neck and 1 water jet is positioned to massage each person’s feet. 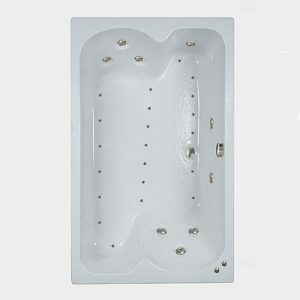 Air injectors (air jets) are positioned in the tubs floor to provide a relaxing air massage. Note: Prices do not include freight. Please call for pricing. With larger individuals in mind, this elegant oval design is perfect for one or two persons. Wtih two pillows, sculptured arm rests and soap dishes, you'll agree this could be the perfect way to relax and enjoy a great moment. Note: Prices do not include freight. Please call for pricing.